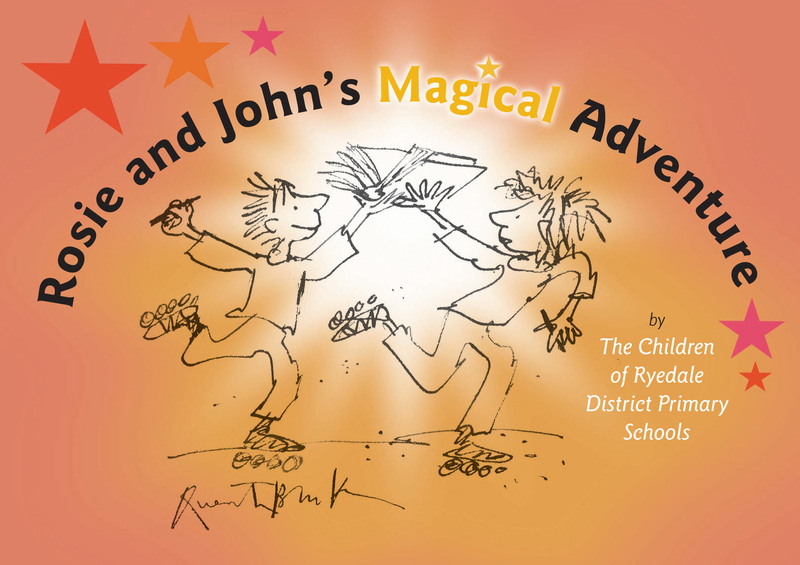 A Magical tale of adventure written by 5-7 year old children from Ryedale District, North Yorkshire. In 2012 the Malton Literature Festival morphed into the Ryedale Book Festival and the organizers involved the community by taking a team to 10 primary schools and invited the children to write a serial story, with each school adding 250 words to the tale. The children were also provided with an A0 sheet to illustrate their segment of the story. Rosie and John’s Magical Adventure is the resulting charming tale where the children, accompanied by their dog Bowser rescue the Queen from the evil Mayor.